Versión en español de las frases de Jesús “YO SOY” en el evangelio de Juan. 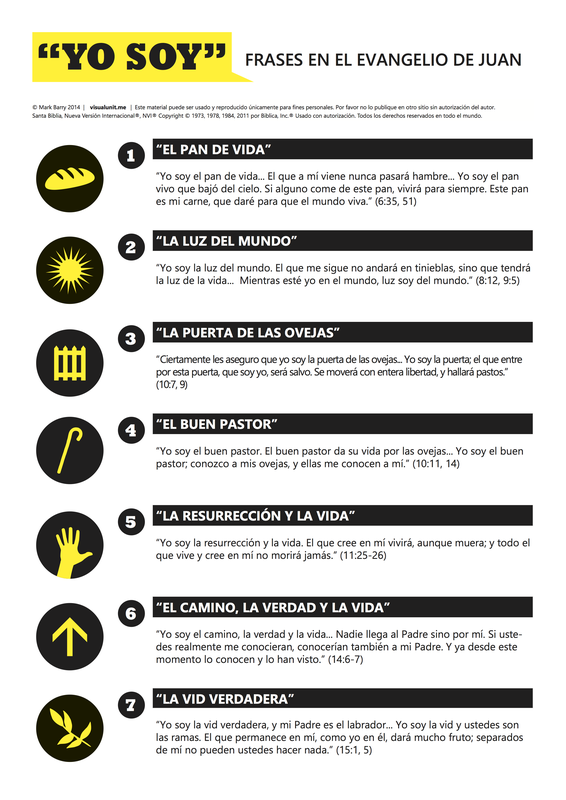 Spanish version of “I AM” sayings of Jesus in John’s gospel. PDF version (438 KB). This entry was posted in Spanish and tagged gospels, Jesus, John, New Testament. Bookmark the permalink.